In disputed custody cases, all states in the U.S. use standard called “best interests of the child”. This is a subjective standard that is based on what a judge believes is best for the child. However, there are some factors you can guarantee a judge will take into account when making a custody decision. 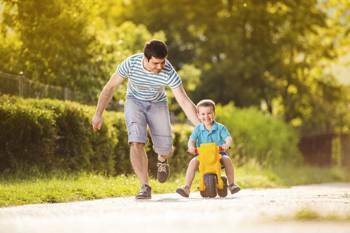 With the following information in mind, it's easy to see that it's more important than ever for a man fighting for the right to parent his children to work with a skilled men's divorce attorney. The Child’s Age. There are a number of judges who believe that younger children should reside solely with their mother. If the child is old enough, their personal preference will be taken into account. Each Parent’s Living Situation. When considering this factor, a judge will take into account which parent has the more stable living situation, the spouses’ proximity to one another, and each one’s proximity to the child’s school, extracurricular activities, and friends. The Parents’ Relationship With One Another. A judge is going to take into consideration the parents’ relationship with one another, their history, and their ability (or inability) to get along. The more cooperative a parent is, the more favorably the judge is going to look upon them. Most importantly, when it comes to children, a judge is going to look at stability and continuity. Judges have a preference for status quo, because most judges believe that creating more change on top of the trauma a divorce creates is not good for young children. Consequently, a parent who is arguing that a current situation is working just fine will have an edge over a parent who wants to create a major change in the visitation or custody schedule that is already in place. At Gerkin & Decker, PC, we know that in any custody case, it is important for each party to have experienced family law attorneys on their side. Because the current legal system tends to favor mothers in custody disputes, this is particularly true for men. If you are a man who is considering divorce, or who is fighting for custody of his children, contact one of our experienced men’s divorce attorneys today!